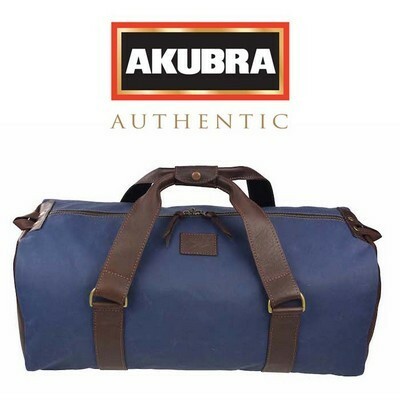 An ageless travel-bag style, in lightweight canvas with full-grain aniline luxury leather highlights. The leather is finished with high quality oils and waxes, ensuring the natural feel and characteristics of the leather are maintained. Featuring heavy duty brass lockable zip, solid brass dee`s, and a tough full-length webbing backing to carry-straps. Presented in Akubra drawstring bag. 5 year workmanship warranty. Proudly Hand Crafted and 100% Australian Made. W: 65cm x H: 28cm x D: 30cm.